Kee®Safety a Success For Over 80 Years Based On The Iconic Kee Klamp. 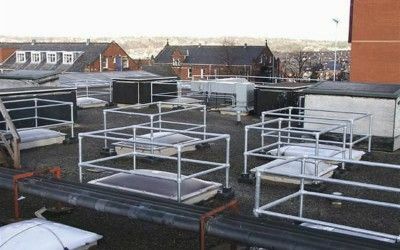 Kee Safety Ltd. is the leading global supplier of components and bespoke systems for railings, barriers, roof edge protection, fall prevention and safe access equipment for working at height. Established in the UK in 1934, the range has expanded from the original KEE KLAMP® product into a portfolio of safety equipment, all designed to separate people from hazards. 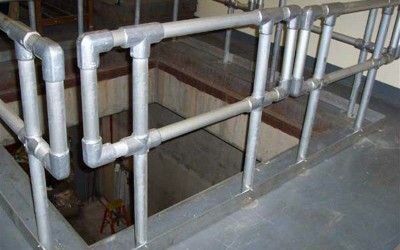 Kee Klamp® fittings fit externally to the tubes, are made from galvanised steel, ensuring that they are corrosion resistant, strong, and durable and built to last. There is no welding involved, hot work permits or special equipment are also not required. 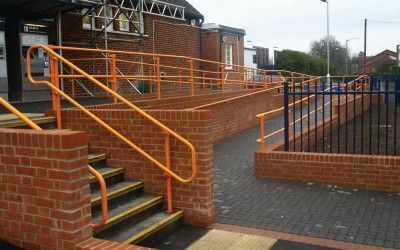 Kee Access® components allow you or your fabricator to construct smooth handrails for disability use complying with part M of building regulations and to comply with the National Disability Authority’s recommendations regarding the construction of Disabled Access Handrails. These components clamp to the inside of the pipe. Kee Klamp® is the basis of the Kee Safety range designed in 1934. 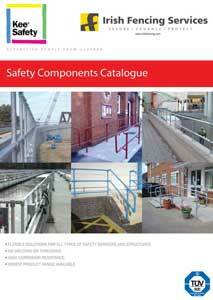 The Range comprises over 130 Galvanised components which have been tested and Certified . 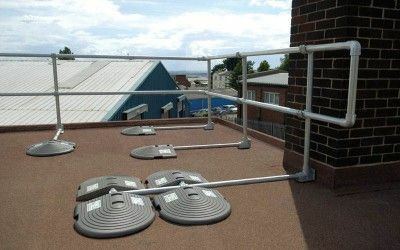 Kee® Guard is a Galvanised free standing fall protection barrier for use on roof edges, it can be installed quickly and without damage to the roof in any way. 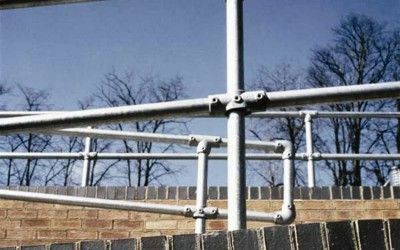 A Range of Galvanised components complying with Irish Building Regulations Part M. requirements for safety hand-railing and barriers for those with disability. Kee® Dome is a Galvanised free standing fall protection barrier designed to prevent accidental falls through glass or perspex roof lights and does not penetrate the roof. Kee Lite® are aluminum components which offer flexibility, and can be used for a variety of applications from contemporary to industrial; your imagination is the only limitation.